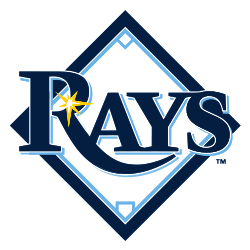 Hillsborough County is working aggressively to lure the Tampa Bay Rays, as evidenced by its work with law firm that is assisting in the ballpark search. In their efforts to secure a replacement for Tropicana Field, the Rays have been in discussions with Hillsborough and Pinellas counties. Representatives in both counties have offered up concepts, with Oldsmar making a recent pitch on a ballpark and adjacent development that would be constructed on 120 acres near the Pinellas/Hillsborough County line. The sharp uptick in activity is reflected in the bills that Foley & Lardner have sent the county that have totaled nearly $50,000 between June 20 and the most recent invoice on Sept. 12, a period of less than three months. In the previous 16 months, the county paid the firm about $95,000. County commissioners will review a contract extension of up to three years with Foley & Lardner at their Wednesday meeting. The vote is scheduled for the consent agenda, a point in the meeting where commissioners typically approve dozens of agenda items unanimously and without any discussion. Under the new agreement, the county attorney would have the power to extend the contract each year through 2019. This is not the only recent development in Hillsborough County’s pursuit of the Rays. In September, a report showed that the county is approaching the revenue threshold needed for the state’s high impact tourism status, which would grant it the authority to raise its hotel tax to 6%. Such an increase could be used to fund a new ballpark. The Rays have yet to commit to a site.